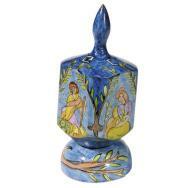 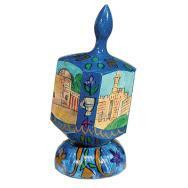 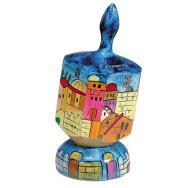 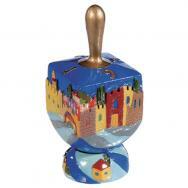 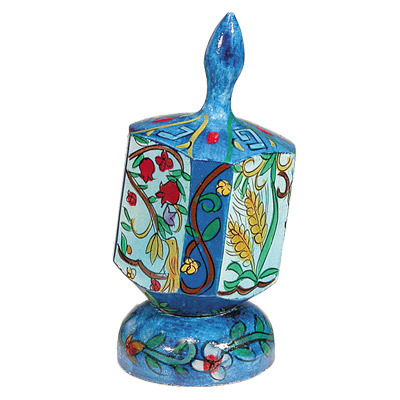 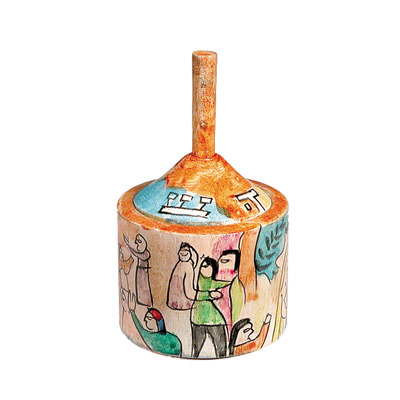 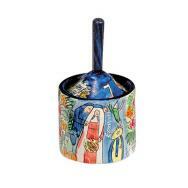 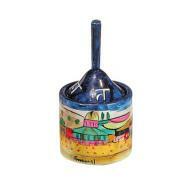 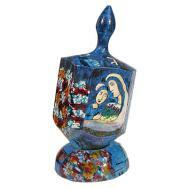 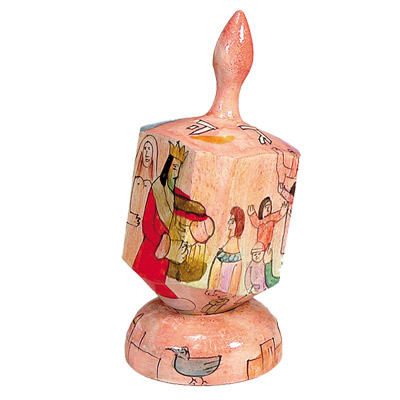 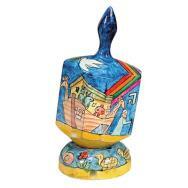 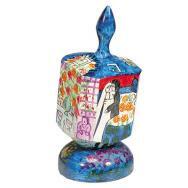 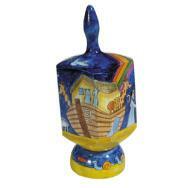 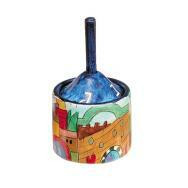 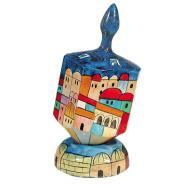 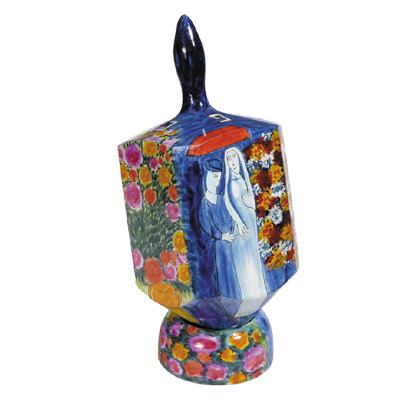 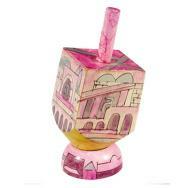 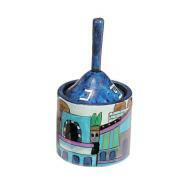 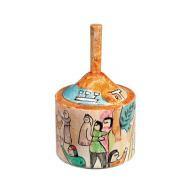 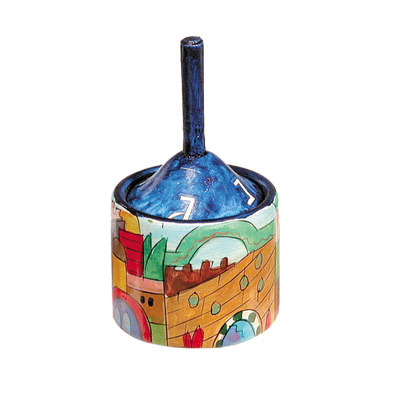 Yair Emanuel’s Hanukkah items are exquisite works of art that add color and light to the festive days, and compose a unique gift that anyone would love to receive. 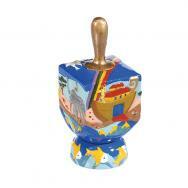 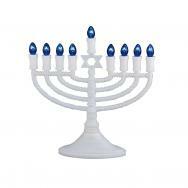 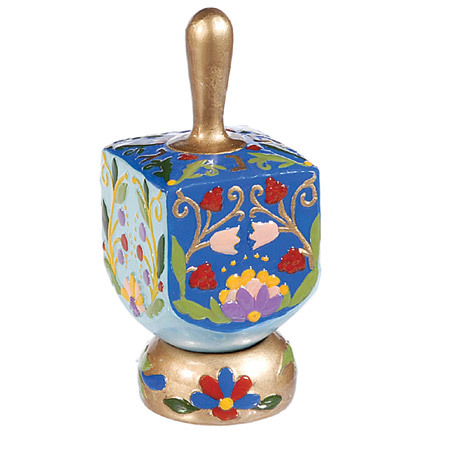 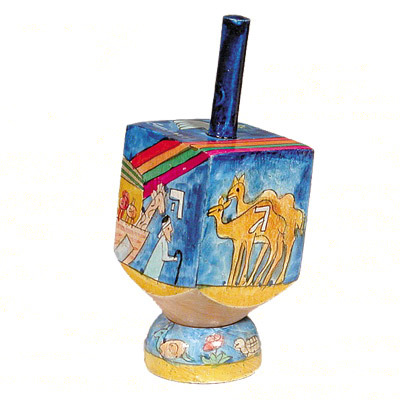 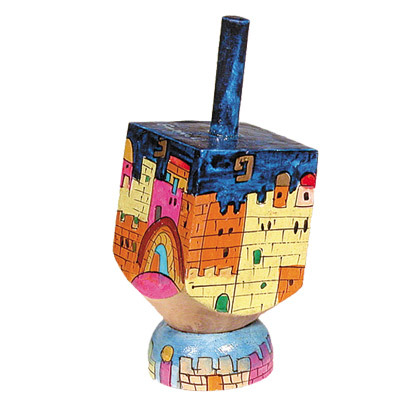 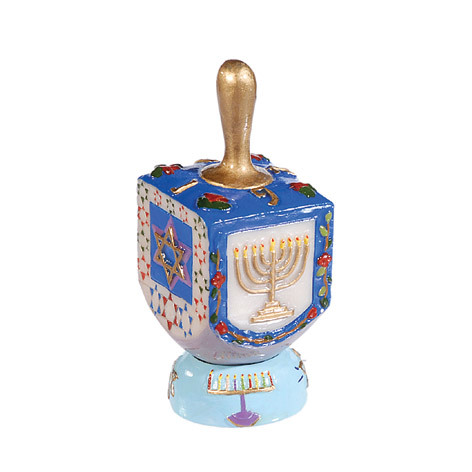 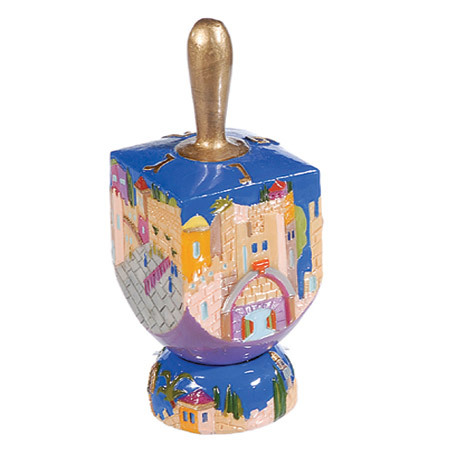 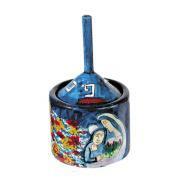 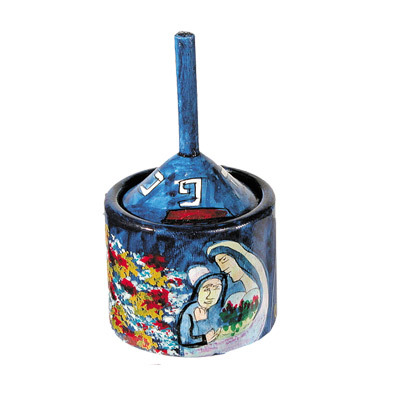 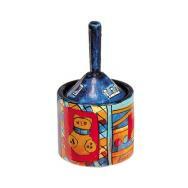 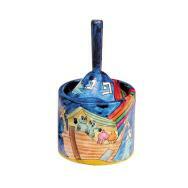 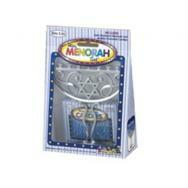 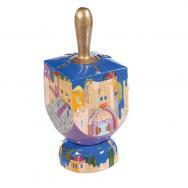 The Hanukkah menorahs and Hanukkah Dreidels are handmade and designed with extraordinary motifs, using a variety of materials including wood, metal, ceramic and glass. 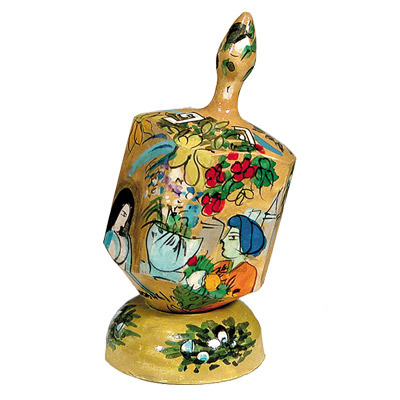 The illustrations on the items depict a variety of Jewish motifs, the Seven Species, pomegranates and flowers, as well as Jerusalem city views.